Hydroblast is your first choice for High Pressure Water Jetting for tasks such as Hydrodemolition, Tank Cleaning, Tube Cleaning, Pipe Cleaning and Road Marking Removal. Hydroblast Ltd is one of the UK’s leading providers of high-pressure water jetting equipment. We offer an extensive range of professional cleaning services to customers across the UK. We have a fantastic wealth of experience and a highly trained team of experienced staff to offer a first class service every time. Our aim is to provide the most comprehensive services and deliver the best standards at all times. Hydrodemolition is the use of controlled high-pressure jets of water in order to remove or demolish concrete. Industrial Tank Cleaning is essential if you want to achieve and maintain high standards of quality. Water jet cleaning uses high-pressure water jets to complete a myriad of tasks ranging from ship renovation to outdoor cleaning. We can offer top of the range equipment and highly experienced operatives to get rid of unwanted areas of concrete. 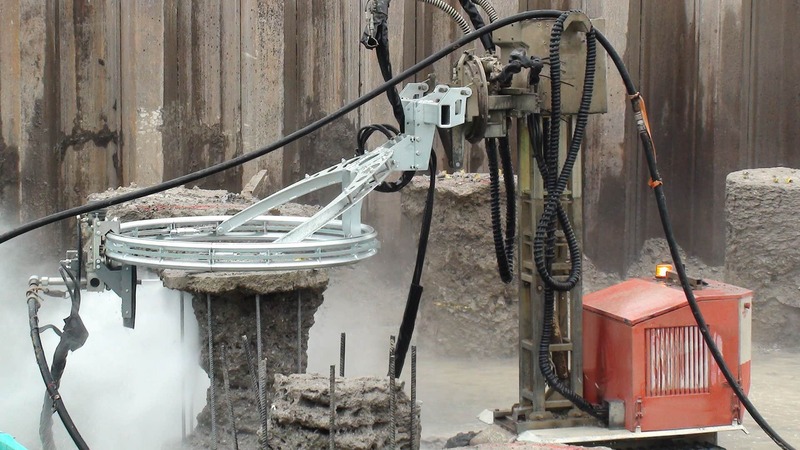 Concrete Cutting is achieved using the Hydrodemolition method. Over periods of time concrete deteriorates and must first be cut. High-pressure water jets are capable of cropping piles effectively and efficiently without compromising their structural integrity. Worn refractory lining can easily be removed using high-pressure water jets, saving businesses time and money. Industrial Pipe Cleaning can help prolong the useful life of pipes. The high-pressure water jetting equipment utilised to clean these pipes takes a great deal of expertise to use. As a registered training provider of the Water Jetting Association and accredited by City & Guilds, our training ensures that you and your staff are trained to the latest water jetting industry standards. At Hydroblast we can offer every kind of high-pressure water jetting service you can imagine. Our services range from routine graffiti removal to tank cleaning, and also one of the toughest jobs like hydrodemolition and concrete scabbling. Our professional technicians operate the latest equipment and are committed to producing the best results. All of the machinery we use has been carefully designed to handle even the toughest industrial projects. As well as the water jetting services themselves, Hydroblast also offers machinery supply, repairs and training. Our team are experienced at using every device we supply. When we deliver it to you we can provide full set up and training so you know exactly how to use it. We can also provide maintenance tips and other important advice so you can get the most from your investment. Training from Hydroblast is designed to maximise the return you get from your equipment. At Hydroblast we can help you with any high-pressure water jetting project, from removing the smallest pieces of graffiti to large scale industrial cleaning projects. We can provide services on a one-off basis, take on insurance work or simply offer the best standards of advice and technical support. If you have any questions for us please don’t hesitate to get in touch: you can easily reach us by calling 01677 428 786. You can trust us to clean equipment effectively and safely because in addition to experience, we hold ISO 9001, ISO 14001, and OHSAS 18001 certificates as well as a membership to the WJA (Water Jetting Association). Our industrial cleaning and hydrodemolition services are used by clients from various industries, including chemical processing specialists, pharmaceutical companies and petrochemical producers. Excellent standards are guaranteed on every single project. 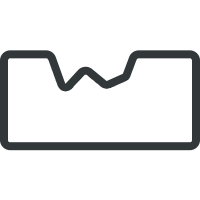 We are located in Northallerton, North Yorkshire, and from here we deliver our services to clients in all areas around the United Kingdom.